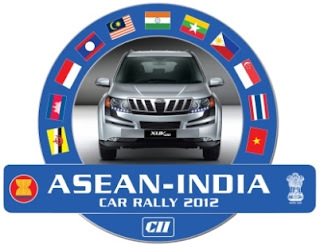 Guwahati, Nov 8 : The Assam government has sanctioned Rs.3.94 crore for the ASEAN-India Car Rally 2012, a section of which will be flagged off from here Dec 17. Chief Minister Tarun Gogoi chaired a meeting of the apex committee for the rally, said a statement. Gogoi will flag off the rally's final dash to New Delhi from a stadium here Dec 17. The rally starts in Indonesia Nov 25 and after traversing nine countries and covering a distance of around 8,000 km will culminate in New Delhi Dec 20. Union Minister for Commerce and Industry Anand Sharma will attend the flag off in Guwahati. Cultural programmes and shows by daredevils and paratroopers will be held during the flag-off ceremony. Gogoi also discussed the visit of ASEAN ambassadors and officials to Guwahati Nov 15 for the rally and possible investments in Assam.